Two races in, two interesting and enjoyable races in and two awful qualification sessions hopefully forever forgotten. 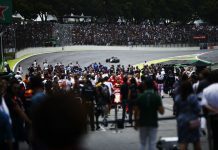 Have you got off to a good, solid, poor or torrid start to your own Fantasy F1 season? If you tend towards the latter then worry not as this is your last chance to completely shake up your team without limit or penalty as you can benefit from unlimited changes until the start of qualifying (which is 8am BST on Saturday)! Beware though, as after China there are only eight “free” changes before they start costing you precious points! If you are suffering with a dilemma as to where to tinker (or where to start) then here are some more of this year’s participants under the microscope as well as some fantasy-led hints and tips for Shanghai. Punching above his weight? – Pascal Wehrlein (£3m) – There is always a surprise package amongst the bargain-basement signings in the fantasy league and this German-Mauritius driver is making an early bid to take that mantle this year. Whilst he might yet to have recorded points in his Manor, 24 hard-earned bonus points along with two strong qualifying berths (beating his team-mate for 5 points per qualifying session) leaves him with a total haul of 34 points or a return of 11.33 points per million spent. In real terms, this leaves him behind just the experienced Grosjean in the inexperienced Haas as the second most valuable driver on the grid. Crazily, Wehrlein’s popularity has dropper from 10.8% to 9.6% since Melbourne which is possibly as a result of the Haas-phenomenon but this debutant should be getting serious consideration at this bargain price. Unreliable or yet to settle? – Ferrari (£20m) – Considering the Italian stalwarts provided a £4m saving from their German rivals and had been tipped by many to have closed at least some of the gap from 2015, it is not difficult to see why they sit currently as the fourth most popular team selection behind only Mercedes and the far cheaper Toro Rosso and Haas outfits. However, two out of a possible four retirements in the opening duet of races leaves it open to interpretation as to whether they offer good value or not despite two podium places shared amongst their drivers. Unsurprisingly, faith in Ferrari has wavered slightly within the fantasy community with a 1.1% fall in popularity among players (35.2% now include Ferrari as opposed to 36.3% pre-Melbourne) though when you consider the 33 points they have gained makes them the fourth most valuable team maybe the players are getting overly cautious! Lewis Hamilton romped to his second win out of three last year in Shanghai though he’ll have to break a 5-race trend if he is to record his first win of the season in China. This got even more difficult after the British driver revealed he also has a five-place grid penalty for China for changing a gearbox. Ferrari finished third and fourth last year but they must feel there is a very strong opportunity to split the two Mercedes again for this round. Sauber were a surprise double-act in last season’s top ten but they’ll be outsiders to repeat that feat although Romain Grosjean will hope he can benefit for a change of car and make it a third top-ten finish again in China (he finished 7th in the Lotus this time last year). Qualifying thankfully returns to the 2015 format this season and Nico Rosberg will be a strong favourite to grab a pole and win double with Hamilton’s mechanical misfortune. If you had made your predictions early this may be a time to consider alternative choices without delay – before the breaking news, Hamilton was the pick amongst 78.7% of you for pole and 69.2% for the race win. You’d get better odds with the bookies now. Kimi Raikkonen’s second place in Bahrain should mean that both him and Sebastian Vettel should be serious considerations for podium places yet only 3.8% have the former pencilled in for a podium place. Weather in China can be a mixed affair and rain is currently heavily expected for Saturday qualifying which may mix-up the grid order whilst the Sunday race is under less threat from the wet stuff. Temperatures will also impact on tyre usage with almost all drivers and team selecting a mixed tyre set as they keep a flexible approach to conditions. 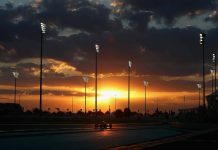 Given all of this, a safety car period or two cannot be discounted, however only three of the last ten races have featured one and, of those, two of the three had two visits on-track. Difficult one to get right for China – good luck!